Sasakawa USA is proud to announce that Ambassador James P. Zumwalt will be its Chief Executive Officer starting February 20, 2017. Ambassador Zumwalt has been the United States Ambassador to the Republic of Senegal and the Republic of Guinea-Bissau for the past two years, the capstone of a 36-year distinguished career in the United States Foreign Service. Ambassador Zumwalt has extensive experience in U.S.-Japan relations. 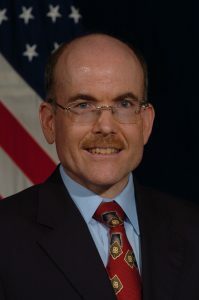 Since his first Foreign Service assignment in Japan to the United States Consulate General in Osaka-Kobe in 1983, Ambassador Zumwalt has served in a variety of assignments for the State Department related to East Asia. Most recently, he was responsible for policy towards Japan and Korea as Deputy Assistant Secretary, advancing the President’s agenda for Pacific Rim engagement. When the Great East Japan Earthquake and Tsunami struck Japan in 2011, Ambassador Zumwalt was serving as Deputy Chief of Mission at the U.S. Embassy Tokyo, where he coordinated the United States’ successful response to that crisis. Ambassador Zumwalt has a B.A. in Japanese Language and also in American History from the University of California at Berkeley and an M.A. in International Security Studies from the National War College.